We are dedicated to providing longarm machine sales and service, keeping all sewing machines working, and delivering technical expertise on machine quilting. Keep Sewing is an authorized Nolting Longarm Quilting Machine dealer. We also offer classes and training for all of your quilting needs. Whether you’re new to quilting or have been creating for decades, we’re here to help! We sell Nolting Longarm Quilting Machines and a number of longarm related supplies all over Michigan. We also provide on-site service for most longarm and domestic machines. In fact, we pride ourselves in fixing machines most service providers won’t touch. 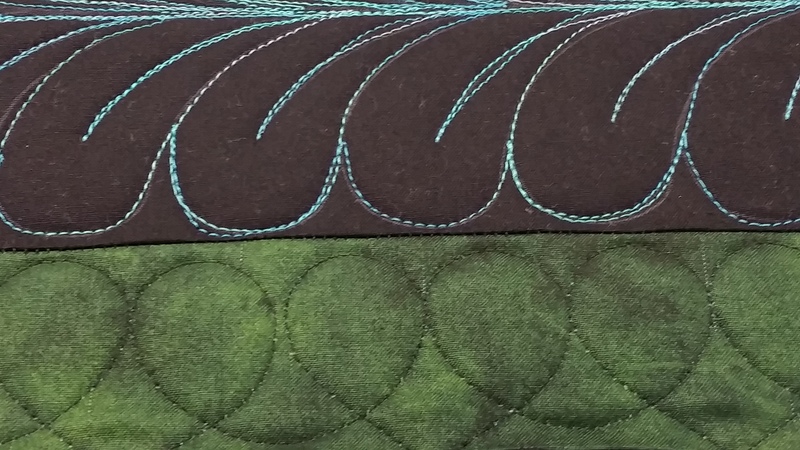 Founded in 2016, at Keep Sewing we are excited about longarm quilting! Call us or visit us and we will get you up and running. We look forward to providing you with everything you need for your creative process! We have proudly been a member of the American Quilter’s Society (AQS) for 6 years. We are also proud sponsors of the National Quilt Museum located in Paducah, Kentucky. We carry 30 different colors of 50wt cotton thread and over 225 different colors of polyester 40wt (Glide) thread. We deliver and provide set up throughout the entire state of Michigan, for both machines and frames. In terms of batting, we carry Soft and Elegant, Simply Black, and Hobbs Heirloom in various ratios of cotton and polyester. We recommend white (bleached) batting for quilts with light or white fabrics and black batting for quilts with dark or black fabrics.